VERY important! Time change mean my precious schedule gets completely thrown off! 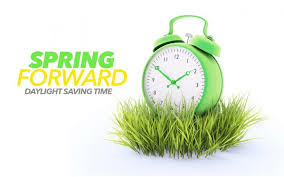 Luckily springing forward is the easy time change! Here are a few great tips from the very best sleep consultant around, Tracy Braunstein of Sleep Tight Solutions. 1. Sleep Environment- Make sure to keep your child’s room dark, especially as it gets brighter earlier! Blackout curtains to the rescue! 2. Schedule- Springing Forward is a bit easier to adjust to. If your kids have been getting up early like mine… you’ll be happy to know Daylight Savings will give you an extra little sleep in the morning! 3. Routine- Keep that same sleep routine going, bath, milk, book, hugs and bedtime…or whatever it may be. A consistent sleep routine will help you ease your child into Daylight Savings with no problem. Happy Daylight Savings…and bring on the warmer weather!! Tracy Braunstein is a Certified Paediatric Sleep Consultant with Sleep Tight Solutions. Read her full article here. Is that today? Would’ve completely missed it! Thanks Nadia!